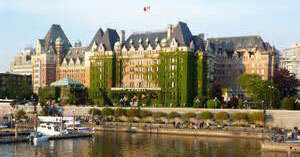 Member organizations, interested observers and young leaders are invited to attend the National Association of Japanese Canadians 2015 AGM and Conference being held in beautiful Victoria, British Columbia. Our annual gathering is an opportunity for you to renew acquaintances and form new ones. As the only national Nikkei organization, you will not find a better opportunity to establish such extensive networks. Our hardworking host this year is the Victoria Nikkei Cultural Centre. In commemoration of the 70th anniversary of the dropping of the atomic bomb on Hiroshima and Nagasaki, we are fortunate to have Setsuko Thurlow, a renowned peace activist and a Hiroshima survivor, as the keynote banquet speaker. Completed registration form and payment must be received by Friday, July 17, 2015. For your convenience the NAJC accepts PayPal/credit card payment.